Nintendo has maintained Splatoon 2’s ecosystem since its release last year, offering a wealth of new content that provided new weapons, stages, and of course the paid single player content that expanded upon the series’ possibilities. But as is the case, all good things must eventually come to an end. Nintendo has revealed that the content drop coming on Dec. 5 will be the game’s last. The final content update coming with version 4.3.0 will bring eight new weapons to the game, four of which have already been revealed. 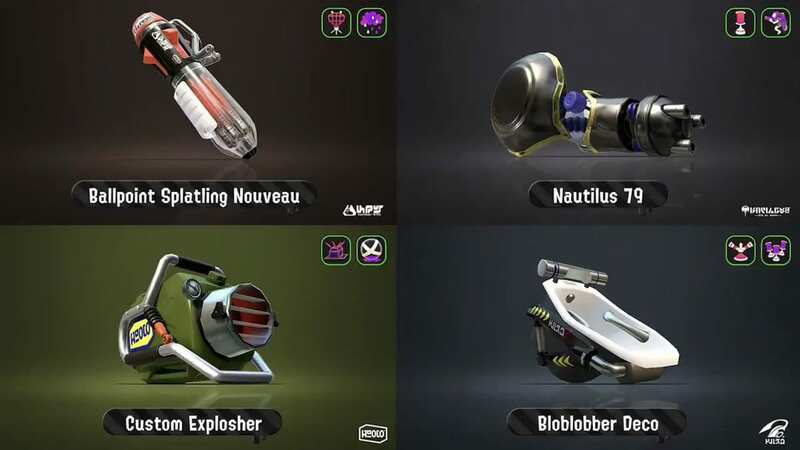 These include the Ballpoint Splatling Nouveau, Nautilus 79, Custom Explosher and the Bloblobber Deco. You can see images of these below. In terms of abilities, Bomb Defense Up and Cold Blooded have been combined to create a new ability known as Defense Up DX. The other new ability is Main Power Up, which will enhance your weapons in various ways. As an example, the Splattershot will have increased accuracy while the user is jumping, the Splat Roller will deal more damage, and the Inkbrush allows players to move faster while inking the ground. Most weapons will see substantial improvements when paired with this ability. While this makes for the end of content updates, general updates for the game will likely still occur to assist with balancing on stages. Players can also expect more Splatfests into the next year.